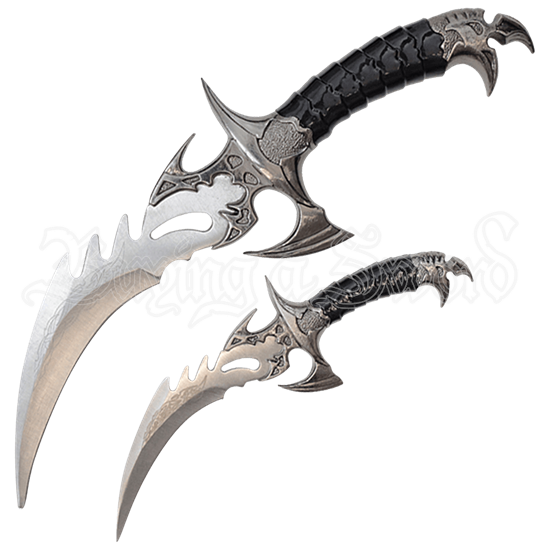 The predatory features of the Bird of Prey Fantasy Dagger Set match the prowess of a royal huntsman or infamous assassin. Whether your game walks on four legs or is of the two-legged variety, these blades are sure to come in handy. This set includes a stylized hunting dagger with a small twin. Crafted from stainless steel, the blades mimic the shape of talons. A small central cutout lightens the weight while the partial serrations that line the upper spine increase their function and utility. The cast metal accents that decorate the cruciform handle continue the talon-like theme. The segmented texture of the black grip contributes to a strong, steady hold. Not all officers preferred to carry full-length swords, and not all situations allowed for them either. 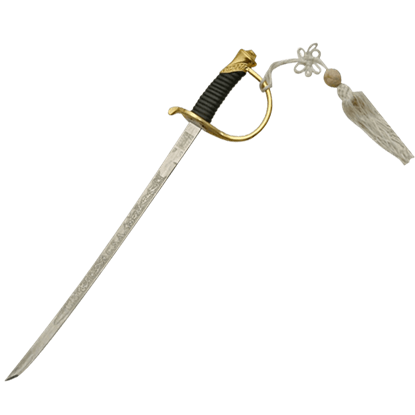 For those who had other preferences and needs, alternatives were available, including arms like this Small CSA Cavalry Sword.